*Spaces limited as this is meant to be an intimate and deep experience! 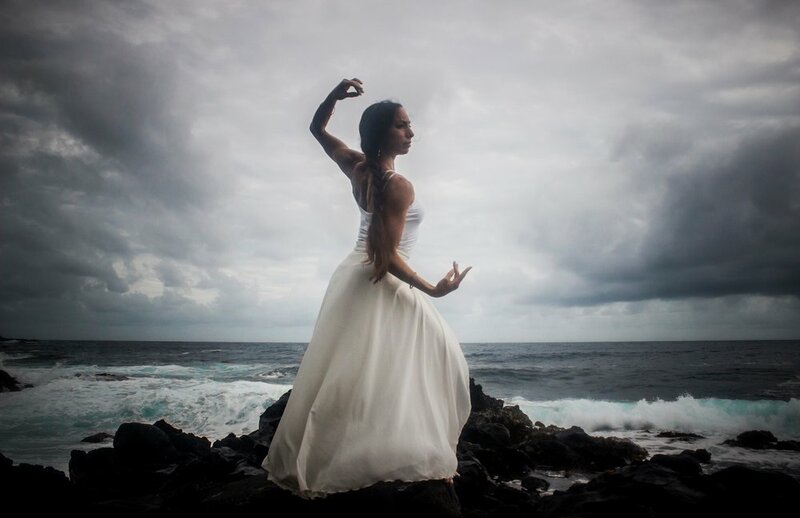 Warrior Woman is a dynamic and diverse annual weeklong intensive training incorporating dance, music, and focused inquiry. This week falls during a powerfully charged time of year leading up to the winter solstice, and the New Year. Over the course of the week students are guided on an empowering movement journey creating personal scores that embody each individuals unique potential. Each day opens with an intention, a heart centric meditation, and guided journaling. Then the session moves into intensive dance training rooted in Integral dance technique (Miriam’s newest signature format.) Miriam Peretz’s signature format Integral Dance is a synthesis of core movement principles, heart centric gesture and deep somatic awareness. On the dance floor we experience gratitude, humility, moving like water, and embracing both subtlety and intensity with our movement expressions. Ethno-contemporary warm up sequences, and guided improvisational scores will inspire dancers towards creating their own choreographic sequence. The art of gesture will also be explored as a means for expressing our super-hero, super-power strengths. 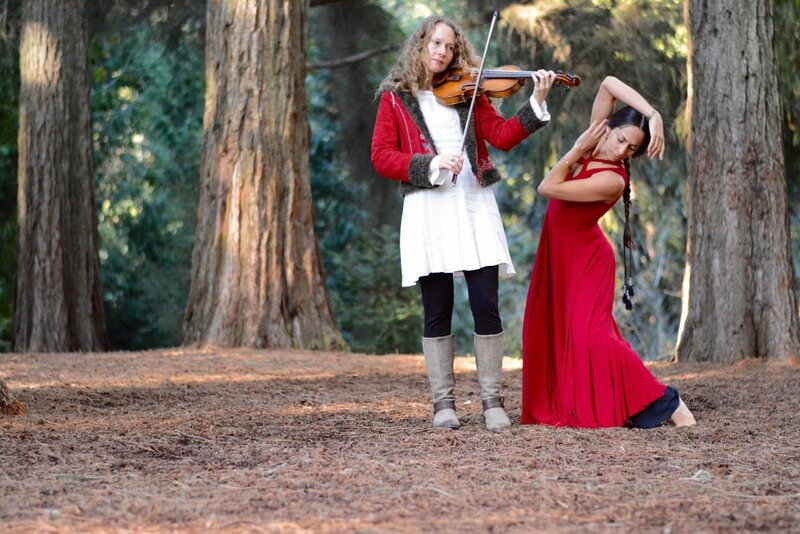 This year we will have three very special musical guests; Rachel Valfer (vocals,) and Marla Leigh Goldstein (frame drumming,) and Reneè Benmelech (vocals.) Each afternoon we will have a music session (focusing on either drumming or singing.) The day will close with an improvisational session incorporating live music and dance scores offering an opportunity to integrate all aspects of the workshop. 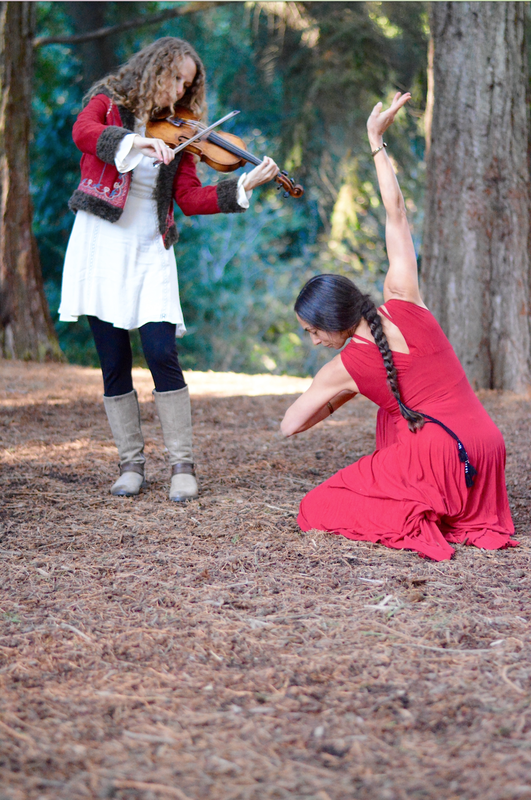 The weeklong intensive will culminate in a Solstice ritual in the forest with live musical accompaniment and a presentation of each warrior woman’s dance piece that has been carefully constructed over the course of the week. Did you know that women were known to be the first drummers? YES! Women played frame drums in ancient cultures worldwide for healing. Join frame drum specialist Marla Leigh Goldstein, for a transformational journey in sacred frame drumming, world rhythms, and healing trance. It is said that through connecting with the past we can find the pathway to heal the present. The vocals styles presented by Rachel Valfer are all rooted in the age-old traditions of the Middle East and the Balkans, and taught with love and respect for the nuances that makes them unique. Attention is given to the specific modes and ornamentation relevant to each style, and the emotional significance of these musical paths. 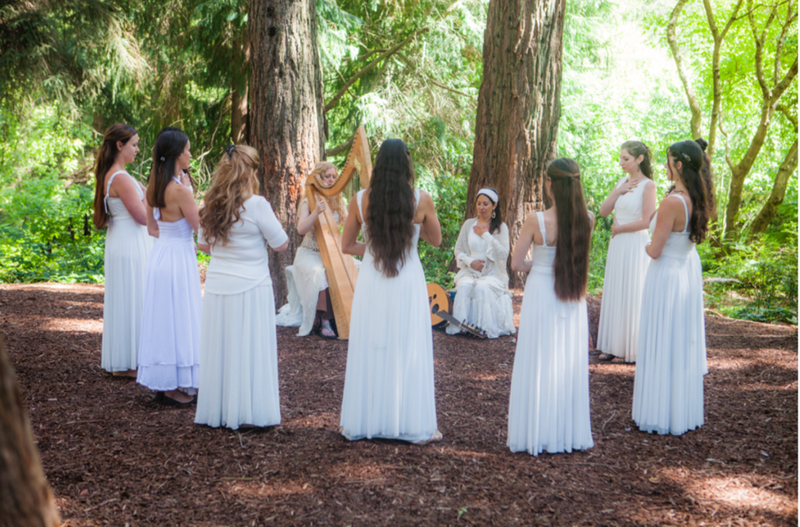 Through singing devotional songs and chants Rachel will guide the group in channeling healing energy individually and communally. Words from students last year…..
"I recommend this workshop to anyone yearning to find a deeper meaning of life through dance. As we reflected on the deeper layers of our humanity the open dialogue helped us form a sisterhood and safe space where we could then explore movement in space. The warm-ups and choreography seasoned and empowered us to embody our authentic warrior woman within.” -Samia Karimi. 5:00-7:00- Frame drum with Marla!